The owl is a symbol of wisdom, truth, patience, foresight and knowledge, and a protector against harm. The perfect gift to inspire your friends or loved-ones to be more positive and to extend feelings of protection. This pretty scarf of dark green, soft yellow-green and lilac is great for all owl-lovers as well as girls or ladies who may be travelling, taking a gap year or starting a new venture. Do you know someone who could do with some extra belief for a special event (an exam, perhaps? 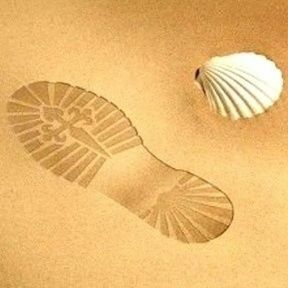 ), or protection as they travel or embark on new ventures? 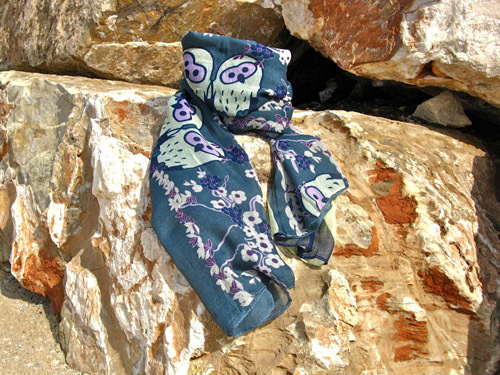 Our fabulous owl scarf is a truly inspirational gift. Comes gift-wrapped, like all our presents (with an information card) - and we can print a personal message on your behalf.